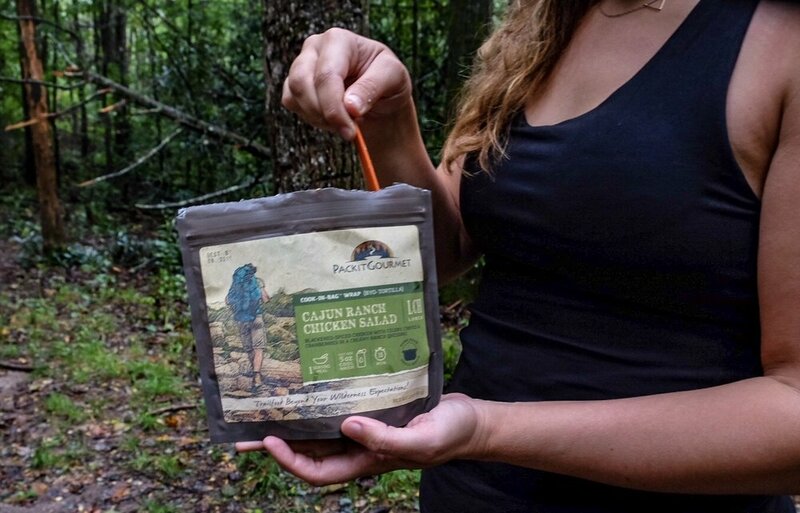 Whether you are planning an overnight camping trip or multi-day backpacking adventure it's essential that you plan on bringing food that will keep you energized and happy. Food is not just about staying fueled up to keep your adventure going; it’s about truly enjoying your time and experience off the grid. Packit Gourmet is a multi-generational family-owned and operated business located outside of Austin, Texas. They are a family that shares a passion for the outdoors along with their family recipes and flavors to help adventurers make the most of their outdoor experiences. They truly believe and have learned through family outings that delicious and nutritious food is just as important for making outdoor memories as well as anything else. Packit Gourmet is a local company that stands out amongst other outdoor food organizations for their expertise in food preparation, company history, values, and devotion to their customers’ dining experiences. Who are the core employees of PackIt Gourmet? “Debbie is the mother in our family and also our Chef! The majority of our meals are based on recipes that have been passed down through the generations. Jeff is the father in our family — he heads up production and can build or fix absolutely anything! He single-handedly built out Packit’s entire facility and continued to expand on it as we grow. Sarah is the elder sister; she’s the driving force of this business! She is in charge of the Packit Gourmet Operations! What was the driving force behind wanting to start the business? “Packit Gourmet began very organically, and it was truly born out of a love for the outdoors and the desire to enjoy delicious, home-cooked, quality meals in the backcountry. We, the Mullins Family, have been camping together since Sarah and I were born, and we each embarked on our first canoe trip at the age of 2. For Debbie, it made perfect sense to not only cook all meals from scratch at home but to carry that into our outdoor family adventures as well, so Debbie and Jeff would dehydrate fresh produce from the family garden, first using screens and sunshine and in the later years, a home dehydrator. In all honesty, Sarah and I had no idea how good we had it! In 2005, Sarah went to CU Boulder pursuing a master’s degree in business administration. When calling home to brainstorm business ideas, Debbie suggested what she wished she had, a way to purchase small quantities of dehydrated ingredients for DIY camp recipes! Since she’s a chef at heart, this not only blossomed into a full grocery section of ingredients but a line of meals as well! Debbie would experiment, create new meals and ship them up to Sarah at CU Boulder. Her team would make them, taste them and thankfully, raved about them! It was the push from Sarah’s classmates and professors that really inspired us to begin the Packit adventure! All of a sudden there was a Packit HQ in Jeff and Debbie’s home and although they were both still working full time for the University of Texas, the business launched in 2008! What is the top selling meal? What is everyone’s favorite meal and memory associated with it? How many servings do your recipes typically offer? “All of our meals are designed to be a single serving, but the portion sizes vary depending on the meal. We understand that our customers are involved in physical activities and have worked up quite the appetite, so it’s important to us that our meals are hearty and satisfying. Do you use locally grown or organic produce in your meals? Explain any kind of sourcing with trusted companies. “Sourcing the ingredients for our meals is the first and most important step when creating our dishes! We continually seek out the best ingredients that complement our vision for each of our meals and our customers’ food preferences. The quality of each ingredient with regards to taste and texture are continually evaluated by Debbie on a daily basis and we take the time to research who we are buying from, as well as their practices in farming and manufacturing. 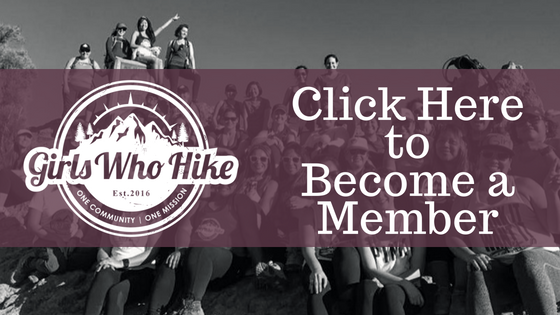 Are there certain meals that you would recommend to hikers that have specific dietary needs? Gluten-free diets? “We understand that everyone has specific dietary needs and we’re continually striving to offer a variety of meals that correspond to each category. Our website is designed to help our customers find which meals best fit their diet (gluten, dairy, vegan, vegetarian, etc.) by allowing customers to filter our meals by meat content & dietary considerations, as well as heat need (cool or hot water), cooking type (bag or pot). Are the lower calorie recipes for those who are dieting or trying to watch their figure? Does your company take into consideration how much sodium or added sugars go into the products? “All of our meals range in calorie count, protein levels, sodium, carbohydrates, sugar etc. and we take all of these components into consideration when creating a new meal. Our website contains a product page for each trail meal including the nutrition chart, ingredients list and additional dietary information. This information is also clearly written on the back label of each meal. Have you had any customers that have come up with creative or innovative ways to serve PackIt Gourmet meals whether it's adding supplementary ingredients, adding spices, or other flavors? Do you try to inspire your customers to Leave No Trace as they take your recipes into the wilderness? Are there strategies your company is using or working towards changing to make your packaging Eco-friendly? “At the Packit Gourmet HQ, striving to be as eco-friendly as possible is always part of the conversation. Although there is always room for improvement, here are a few fun things we’re doing to be part of the solution: We actively maintain a cardboard composting area at our facility. By layering used cardboard boxes with soil and leaves we can create nutrient-rich soil that benefits and enriches our entire property and enables better water conservation in our dry Texas climate. The Packit Gourmet property is certified by the National Wildlife Federation as a “Certified Wildlife Habitat” due to our supply of food, water, cover and places for animals to raise their young. We’re located in the hill country on the outskirts of Austin and we recognize that it’s our responsibility to nurture and live in harmony with the local wildlife. Through landscaping, intentional building practices and gardening, we’re proud to call our land home to a variety of land-mates: foxes, raccoons, opossums, owls, snakes, skunks, bobcats, a range of birds (including the gorgeous painted buntings and the endangered Golden Cheeked Warbler! ), butterflies and honey bees housed in our homemade hive. Do you try to give back to your local community in any way? “Absolutely! We donate product to 15+ non-profit organizations throughout the US annually including the Austin-based Hill Country Conservancy and Austin Parks Foundation, plus nationwide search and rescue organizations, outdoor education centers, conservation efforts and more. Packit Gourmet would like to share their love with all our Girls Who Hike Members, by offering everyone 20% off their first order until 12.31.18! Simply log on to www.packitgourmet.com, create a user profile, fill up your cart, and then enter GWH20 at checkout! The Mullins family has put years of family love and their love for the outdoors and poured it into every bag that’s made. Be sure to experience this, and spread the love to your family and camping buddies! From having grandma’s recipe on the trail after a long day to having a margarita celebration at 14,000 feet, what more could you ask for? We hope you enjoy your Packit Gourmet order as much as we have out on the trail! Cheers to enjoying a meal that will taste like you spent all day whipping up something wonderful in the kitchen when actually you’ve been logging miles, enjoying the amazing fresh air, and spending some quality time with mother nature. Happy breakfast, lunch, and dinner time!